Watching a toddler grow and learn is an amazing experience for a parent. However, this time also comes with challenges. Knowing what milestones and struggles are ahead will help you make the most of this period as your little one becomes a big kid. From the ages of one to three, your child will undergo many changes and discover new skills. This is a period of huge leaps forward for linguistic development as he or she begins talking and rapidly acquires a vocabulary. Reading to your toddler is an important part of encouraging this growth and setting the stage for future academic success. The toddler years are full of physical advances as well. A young child grows quickly, learns to walk and run independently, gradually needs less sleep and is soon ready for potty training. 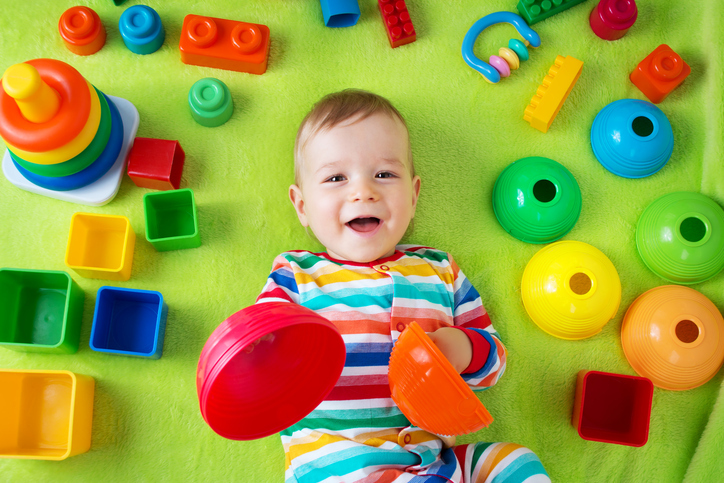 He or she is developing fine motor skills, and you can help by providing activities and craft projects. Many parents find the hardest part of caring for a toddler is dealing with behavioral issues. For young children, it takes time to follow directions and perform simple self-care routines. When a child's back molars come in, it leads to another period of teething and the associated irritability. Making your way through this period in your child's growth takes patience and work, but it's rewarding watching your kid prepare for preschool. By learning more about what's ahead, you can ease your child through these years of rapid growth, helping him or her become increasingly independent and find personal hobbies and interests.